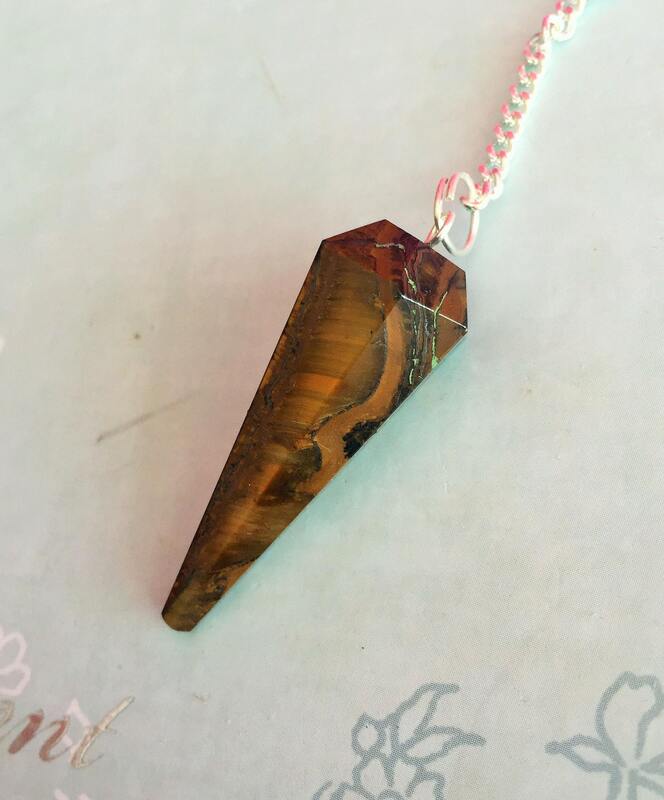 Receive a beautiful Tigers Eye Crystal Pendulum. 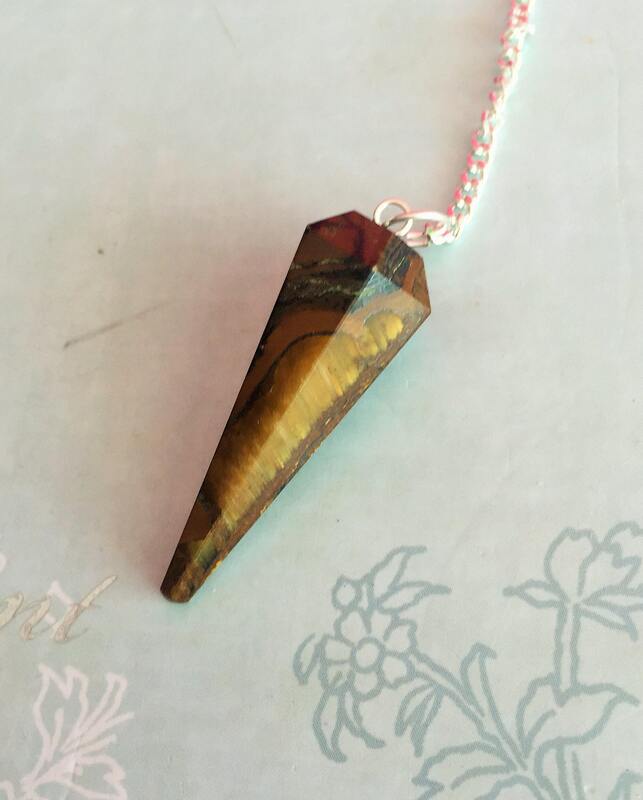 A stone of vitality and creativity, tiger’s eye is a gentle yet grounding stone. The golden yellow ray connects to the solar plexus while the brown connects to the root chakra. 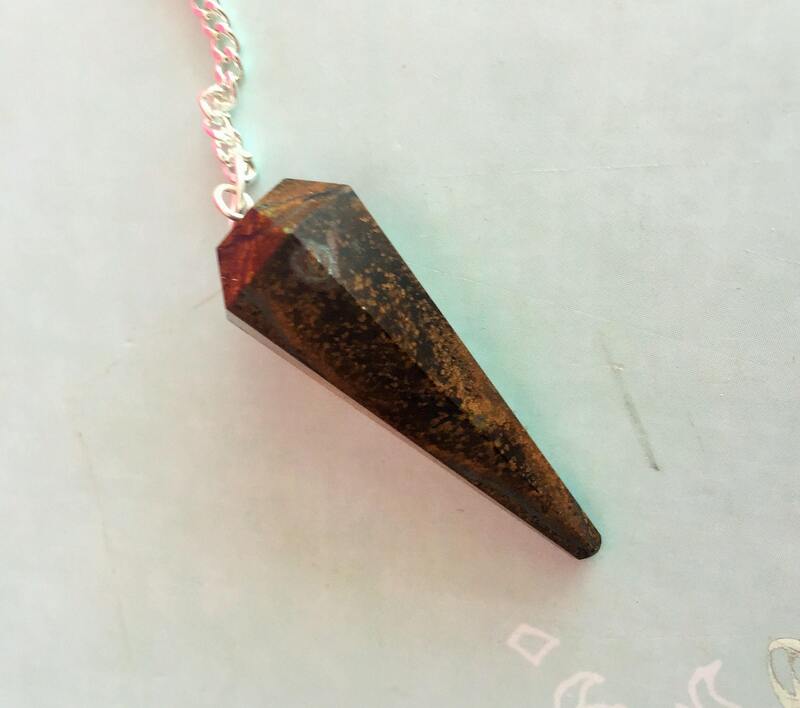 For many years I carried a piece of tumbled tiger’s eye in my pocket or had it somewhere on my body, which helped me to feel centered, confident and walking with both feet planted firmly on the ground. ------Listing includes ONE similar pendulum. Want to see our variety of pendulums?